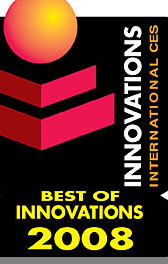 이번 CES 2008 전시회에서 별도로 안방극장용 시스템 스피커에 관한 이노베이션 수상 제품을 선정 발표했다. 국내에서는 삼성전자 패케지 시스템이 수상을 했다. 5년전 미국 네바다주 Incline Village에서스피커 디자이너인 Cary Christie,에 의해 설립된 메이커. 인피니티 사에서 IRS 시리즈를 개발하는 등 25년간 스피커 디자이너로 널리 알려진 그가 새로운 컨셉을 가지고 설계 수상한 제품. 10" 구경 저음용 유닛으로 설계된 초 저음용 스피커시스템. 공간이 협소한 작음 거실에서 벽면에 부착 충분하게 저음 대역을 재생시켜 줄 수 있게 설계된 점이 특징. 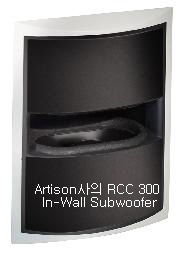 Featuring bass performance equivalent of a 10-inch floor-standing subwoofer, the RCC 300 In-Wall Subwoofer is the perfect solution for smaller rooms or installations requiring multiple subwoofers within a larger space. 동사가 안방극장용으로 개발 소상한 모델 KHT5005.2W시리즈는 Uni-Q 얼라이 방식으로 3" 구경 롱 수루 베이스 드라이브와 3" 구경 중음용 그리고 메탈 돔형 고음용 튜이터 등을 사용해 만든 패케지 시리즈. The KEF KHT5005.2W home theater speaker system delivers CD quality audio with 'Intelligent' Interference Free Signal Technology that eliminates speaker cable wiring problems as well as interference issues. 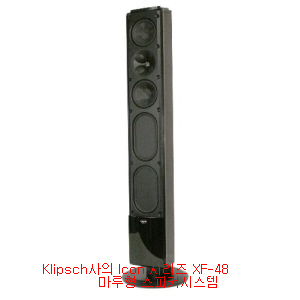 미국 스피커시스템 전문 메이커가 개발한 모델 Icon 시리즈 XF-48 마루형 스피커시스템은 거실에서 평판형 TV와 어울릴 수 있게 디자인된 시스템으로 안방극장용 시스템으로는 물론 음악 감상용으로 사용 할 수 있다. Following the notion "sound is half the picture," the Klipsch XF-48 floorstander not only complements the style of flat-panel televisions, but also brings stunning audio to a stunning image. 미국 스피커시스템 명문인 포크 오디오사가 수상한 모델 DSW MicroPRO 2000시스템은 액티브 설계 방식의 초 저음용 서브우퍼시스템으로 현지 판매 가격은 미화 2,930불. 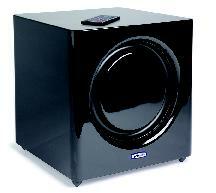 Polk's new top of the line powered subwoofer featuring a proprietary digital engine for spectacular performanceand convenience as well as optimization for room and placement conditions. 가정용 DVD시어다 시스템을 위해 설계된 서라운드바 360은 글자 그대로 거실의 360도 전 방향에서 완벽한 입체음악으로 안방극장을 꾸며 줄 수 있게 만든 싱글 디자인 스피커시스템. 이 시스템의 동사의 특허인 SDA 테크노라지 기술로 설계 한 개의 바에는 저음과 중음 그리고 고음 유닛이 내장되어 있다. The SurroundBar 360 DVD Theater combines a single 44' long speaker that provides an enveloping 5.1 experience using patented SDA technology with a dedicated DVD console. 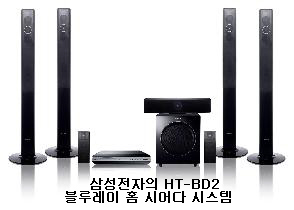 국내 삼성전자가 수상한 모델 HT-BD2 블루레이 홈 시어다 시스템은 동사가 최초로 블루레이 기능을 사용해 만든 가정용 안방극장 패케지 스피커시스템으로 다이내믹한 사운드로 영상을 줄 길 수 있게 설계된 시스템. The HT-BD2 is the first HD Home Theater solution featuring Blu-ray disc playback, providing consumers with a powerful audio performance to augment the high definition viewing experience. 일본 소니사가 개발 수상한 모델 DAV-IS10 5.1 마이크로 홈 시어다 시스템은 소형 스피커시스템으로 대형 스피커시스템 같은 빅 사운드를 재생시켜 줄 수 있게 설계된 콤팩트 사이즈 제품. the DAV-IS10 5.1 micro home theater system delivers big sound from the smallest speakers in the industry using its unique, compact design and advanced audio capabilities. 동사가 안방극장용 초 저음 대역용으로 개발 수상한 모델로 벽면에 부착시켜 초 저음 대역을 질감 있게 감상 할 수 있게 만든 시스템. 10“ 구경 우퍼 2개를 사용해 제작되어 있음. 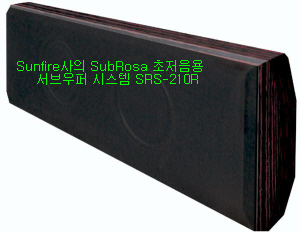 Sunfire's SubRosa subwoofers with StillBass anti-shake technology exemplify the company's no-compromise design approach in producing prodigious amounts of thunderous bass while eliminating unwanted vibrations in or outside of the wall.